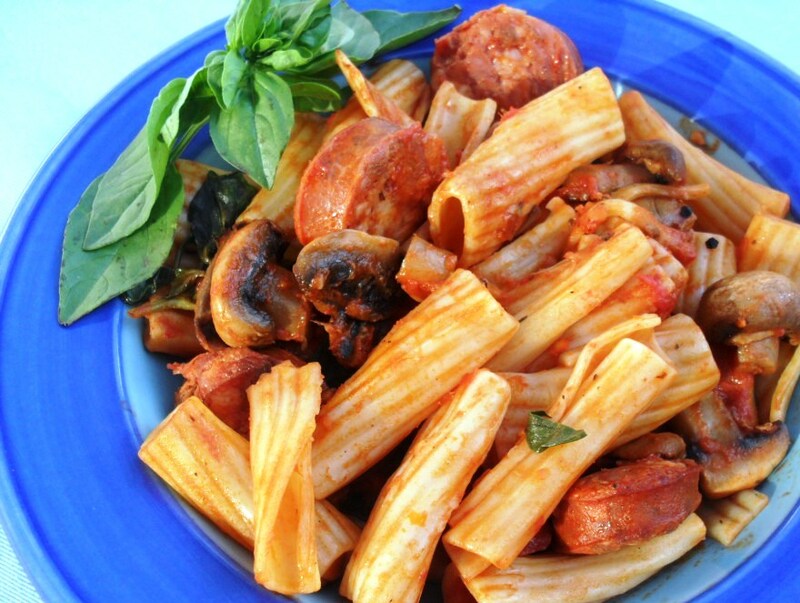 Pasta and chorizo feature regularly in my recipes. 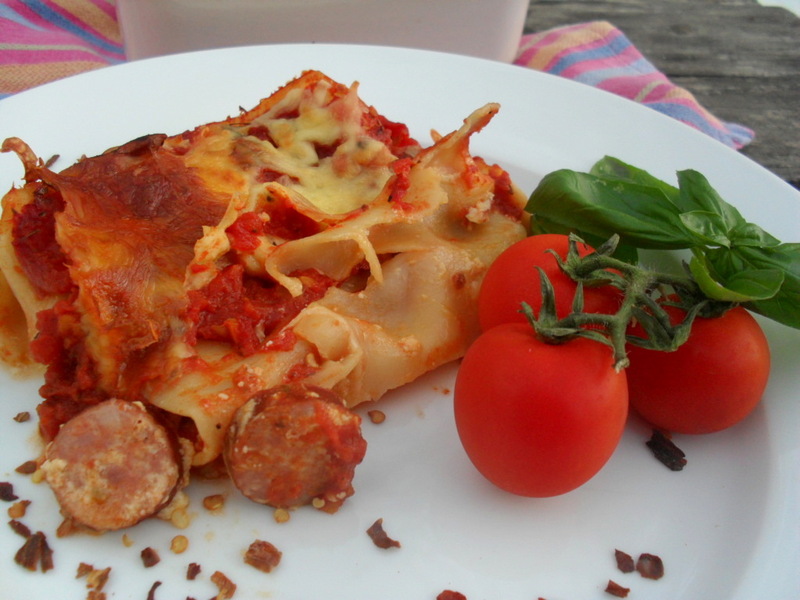 For this recipe I used Woolworths’s Spanish sausages.You can also replace the chorizo with bacon. 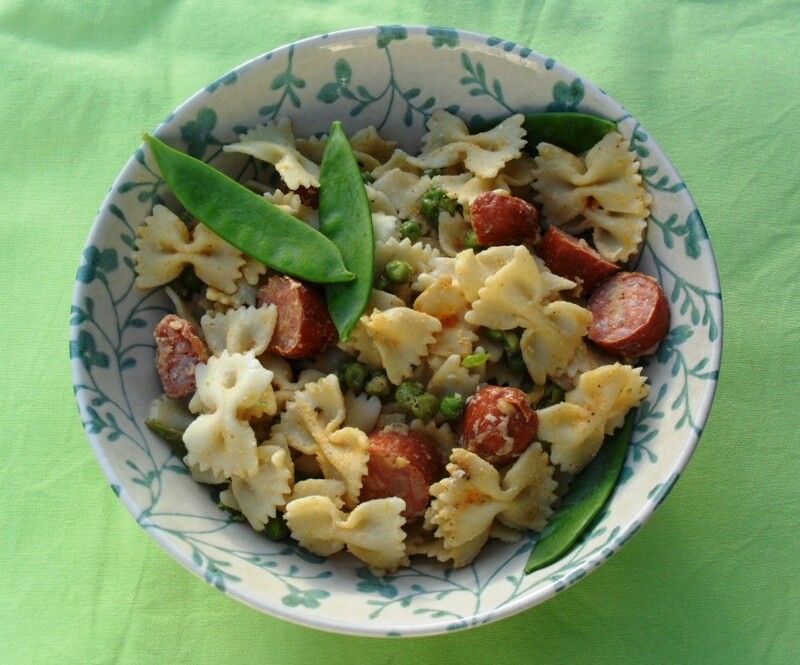 Children will love this pasta with chorizo and peas. 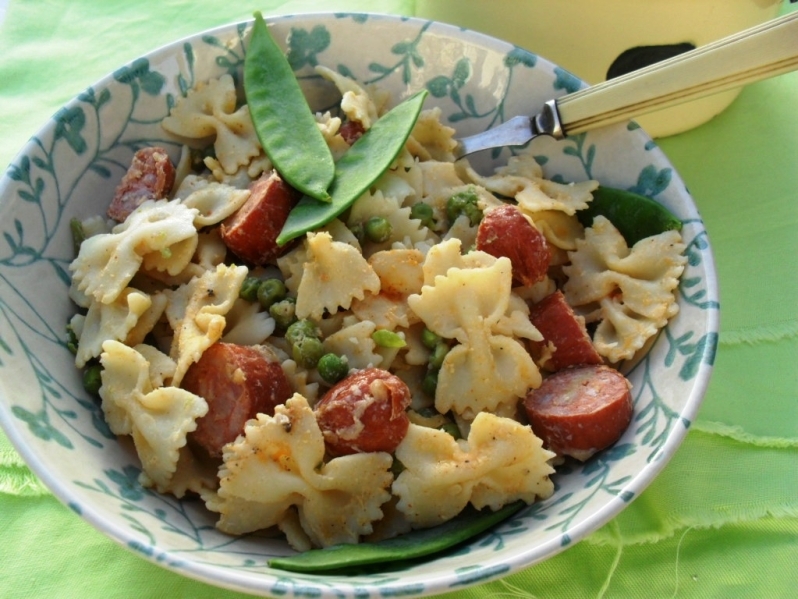 Add the fried chorizo with the pan juices, steamed peas, cheddar cheese and cream to the warm pasta. 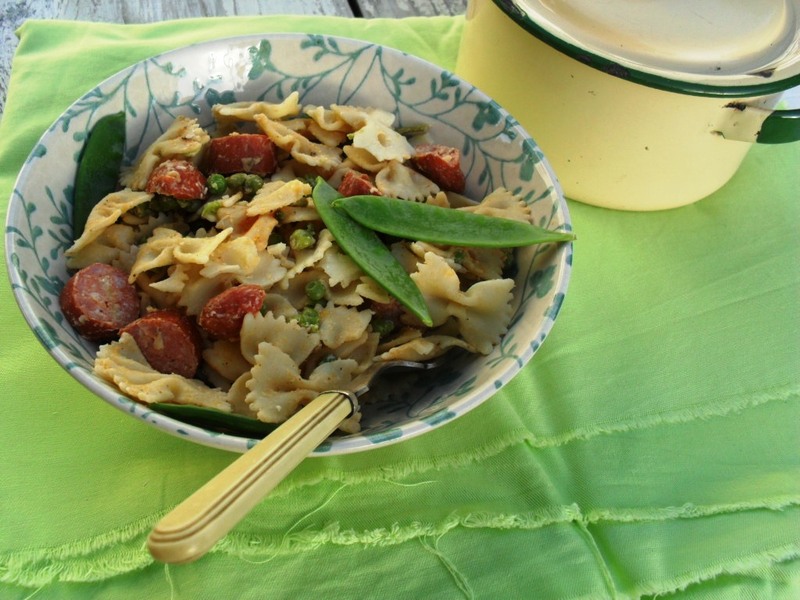 Season with salt and pepper and mix through.